Where my little life changed and I went from being loved to being cursed…. Swinging on the gate of 4, Arthur Cottages waiting expectantly for my mum to come back home with my favourite sweets – Rowntrees Fruit Pastilles…. It’s funny how inanimate objects (if you can call a swinging gate inanimate?) can hold such powerful and vivid memories. The same gate, having been left open by one of his big sisters, gave rise to my mum’s younger brother’s (my Uncle Ron) accident. When my Uncle Ron was little he ‘escaped’ the small garden and ran straight into the road, where he sustained bad injuries………For sure my maternal grandparents, Nan Minnie May and Granddad Bill suffered greatly at the hands, or shall I say the wheels, of the motor car……..My mother had been having ‘turns’, literally. On one occasion my cousin Tony was sent to fetch my mother from the pub, apparently the family would gather round Nan’s for Sunday roast each week and my mum would have a little drink with her work friends before, but on this occasion she didn’t show at Nan’s, so young Tony went to ‘fetch’ her and on the way he found her slumped over a neighbour’s fence, she was out cold!…..No wasn’t drunk!…. My mum had blacked out. My Nan was very troubled and worried by these ‘turns’, she’d had about four, my mum would literally ‘turn’, veer to one side and collapse. The fact that my mum still rode her bicycle to work could have been at the root of the trouble between my Nan and my father, I’m not sure, but l have been told that my Nan blamed my dad, unfairly or otherwise, for her accident? This bad feeling led to a devastating row, where, at it’s climax, my Nan threatened my father with a calving knife. This was very out of character, but at the height of her grief maybe she felt that my dad didn’t care enough about my mum and should have stopped her from riding it?….Knowing my own nature, one of wilful independence (and I certainly don’t take after my father!) my feeling is she would have ridden her bike whatever……. That’s what she did! Auntie Lil, my cousin Mick and I were just getting off the bus on the 31st May 1954, when Auntie Lil saw my mother’s bike in the middle of the road, she saw a crowd of people around my mum’s body! She feared the worst and her first instinct was to get me away from the scene, so she ran me and my cousin Mick to her house, which was very near, just round the corner and left us with Mick’s dad, my Uncle Dougie. Auntie Lil ran straight back to her sister, but she was already dead! It seems that my mum had ‘a turn’ while on her bike……. Straight into on-coming traffic…..I was three years old….. I was inevitably told of her death I guess, but it didn’t stop me waiting hopefully every day for my mum to come home from work…..Swinging on that gate. 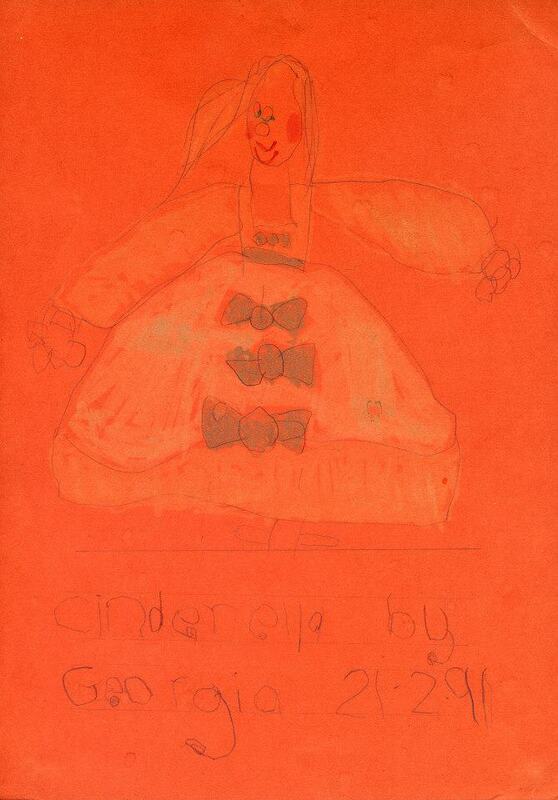 A picture of ‘Cinderella’ by my daughter Georgia, she wrote the date on it too (21.2.’91), she would have been just 4 years old, interesting about the same age l was when my mum got killed. Georgia is a great artist who dates her work, ha ha! l taught my artist children well! 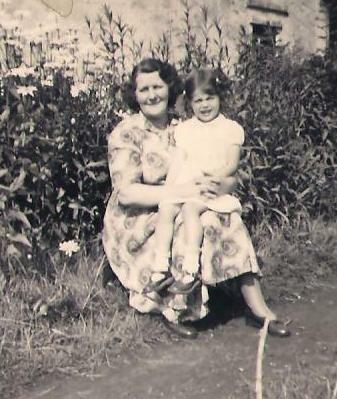 A Mother that sadly died when l was three…….My Mum. A weak (& feeble) father……………..My Dad. Ugly Stepsisters…………….No, but I had an spiteful, vicious Stepbrother…..Let’s call him ‘The Cuckoo’. Cinderella fairy tale? Well not sure if I believe in ‘happy ever after’, it’s certainly not a given, except in fairy tales of course……..It’s all about the choices you make with the circumstances you find yourself in….Your choices define who you are. Having said that though, you have no choice if you are a child, your future lies in the hands of the adults. 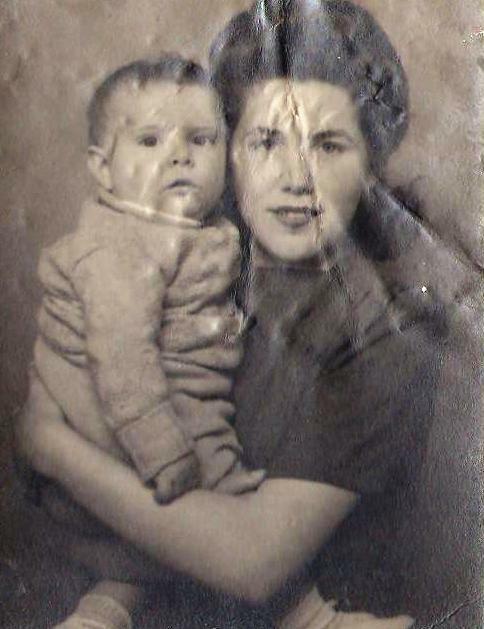 My young mum with possibly my cousin Tony or maybe me? The only certainty is that it is my mum. No one at any time asked me what I wanted! Never! If I was asked, what would l have said? “How much can I ask for?” That’s what I would have said…..I’d ask for the moon!!………. As well as looking deeply at the smallest wild flowers, all nature gave me great comfort, l also looked up to the stars….The moon, the mother. Here’s my story…..NATURE or NURTURE? NURTURE or NATURE? The death of my mother was devastating and her loss changed all of our lives forever. My mum’s father; Granddad Bill was a decorated war hero, a very brave and courageous man who had survived two World Wars, but the events that followed were to break his heart and he died before his time, this was true also of my Nan Minnie May. My mum’s sister Auntie Lil lost so much weight it took her years before she got back to full strength. Also my Auntie Queenie emigrated to Australia with my cousins Doug, Wendy and Robert a couple of years later and as for the little three year old she left behind…. I guess it is easy to understand my reluctance to throw anything away. l had everything taken from me as a child, even memories, though l tried very hard to hang on to them, but without photos, so hard.. After life took away my mother at age 3, too soon after, my sad, lonely, lost father put an ad. in the newspaper ‘Lonely Widower with small child seeks……’ Be careful what you wish for……..Little did he know what a big mistake this would be! Tawdry Audrey, swooped in and swept him off his feet Umm? maybe not so much ‘swept him off his feet’ as ‘bewitched’ him…….This is why l call her the ‘Witch’. Within a very short time, in fact, while I was seriously ill in hospital with acute appendicitis, she dragged him off to the registry office and what’s more, after several weeks in a convalescence home, ‘Little Pond House’, she lost no time in trying to get rid of me again by trying to have me committed with lies and petty protests. Unfortunately for me, even though by default, she had her wicked way. She kicked me out of my mother’s house and installed herself and her son, ‘the Cuckoo’, in my place. My father adopted him………!!! In the report from the Psychiatrist J. M. Stephen, M.B; B.S; D.P.M; it stated and I quote……Dated 21st October 1959.
any trouble to the staff in the ‘hostel’ or in the school. It has become clear that Gillian’s difficulties were precipitated by her stepmother’s pathological jealousy of the child’s presence in the home. It is obvious that Gillian cannot return to this disturbed home”. 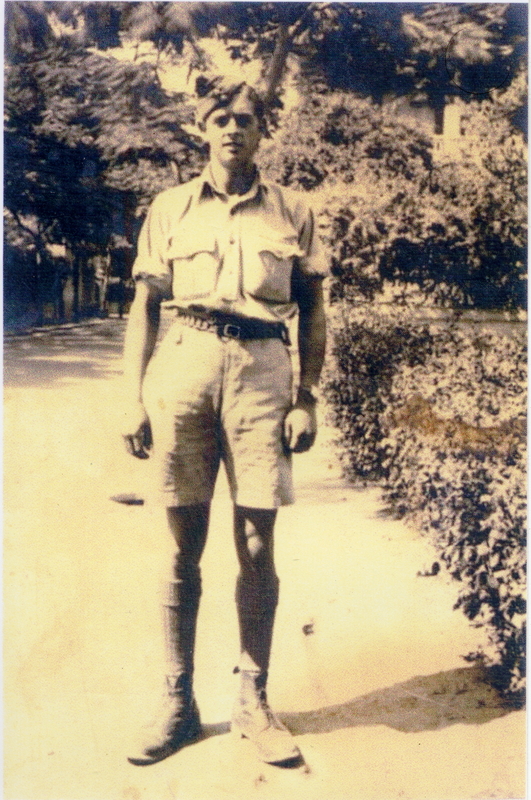 I lost not only my father, but all my ‘dead’ mother’s family, who were every bit as attached to me as I was to them…….I hadn’t one single photo of them, or any of myself…..They had disappeared and so had I !!! THIS I BELIEVE IS MY NATURE. Ultimately He Was My Father. I Was His Responsibility. Yesterday was my dad’s birthday (23rd August), sad really that I can’t ‘ big’ him up …….Still feeling raw and confused by him and his choices in life, never has the precept ‘ Your choices define you’ felt more apt and was indeed a life sentence for him. For those that know me well, know that I come straight out with stuff, well, when it came to my dad, I didn’t, I should have said “pick me!” l should have said we can get through this together, but I was struck dumb in his presence, unable to say what I wanted to say – why? Well, for fear if I spoke up I would lose him too, which ironically I did anyway, so (unnaturally) I kept quiet……A rare thing for me! The moral of this story is speak up, however hard it is – don’t miss the opportunity to make yourself heard, if no one listens, shout louder, never give up. Don’t hand yourself over to fate without a fight !!! After my mum’s death in 1954, I was three and a half, I remember going with my dad to the place he worked (Always Welding) he was a Press Brake Setter OP. This was in Ash, Surrey, but obviously this couldn’t have been for long, my Nan and Auntie Lil did most of the caring for me. I remember that my father did not like my Nan, she never thought much of him either. As l said earlier, there was quite a big bust up on the last day my cousin Tony saw my dad at Nan’s house……Apparently she so completely lost it with him, she picked up a carving knife and threatened him with it! Not her usual behaviour, and l only remember her as loving and kind. Everyone loved my nan. So why the bad blood between them? I’ve heard nan held him responsible for my mother’s death, I’m guessing she was none too pleased with the prospect of him marrying the wicked stepmother, Tawdry Audrey either, and as for putting me in the home…….I’m surprised she never used it !!!? My guess is she didn’t just stand by and not speak her mind, she was a strong woman who’d had a difficult life and she was born under the sign of Taurus, just like my Corrina, intuitive, formidable, but fair. While we are on astrological analogies, my father was a Leo (23rd August) pretty much on the cusp of Virgo, so although my dad was weak, he was also stubbornly proud, fixed on a path of destruction, taking me with him……I will never know for sure? 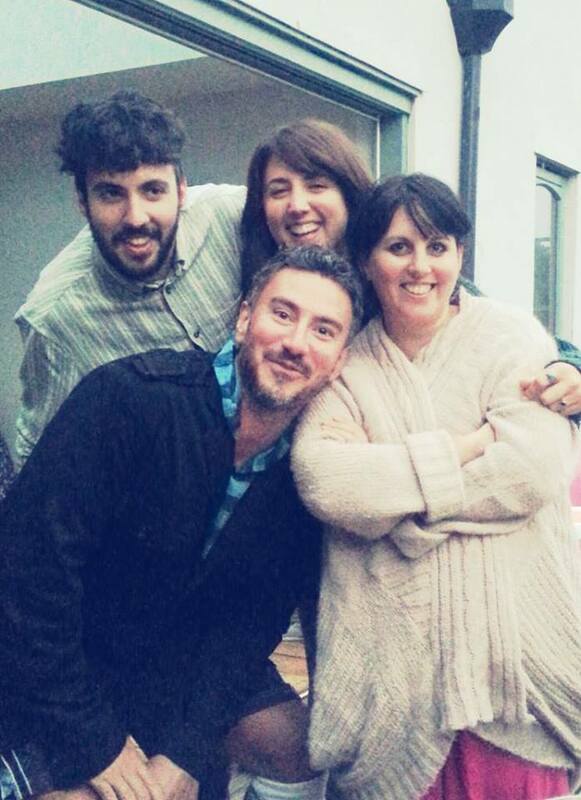 What I do know is he cut my mum’s family completely from my life….. I recall going to Durham (up north) for maybe a year? I suppose I went to school there as I do remember with relish the school dinners, probably the only time l ate! Puddings! Yum!. Again other than my recollection of the school puddings l remember sitting on the ground with trees around me, always alone. We must have gone to Durham for my dad to ‘court ‘ Tawdry Audrey, as that’s where the wicked stepmother came from, yes, I remember her name, it was Audrey Rothery. When we came back to Surrey I got very sick with acute appendicitis. I was rushed into hospital with the sirens going, I would have died if my mum’s sister (Auntie Lil) hadn’t come round, “Get this child to hospital straight away” she told them, Tawdry Audrey would have let me die, that would have suited her purposes exactly! This was in December 1957, just before my seventh birthday, I was there for Christmas too. I’m not sure how long I was in the convalescent home (Little Pond House) after l left hospital, as it is not stipulated in my records, but at least three months, possibly as long as six? While I was safely out of the way they got married! As soon as this wicked woman had married my father she showed her true colours ……After I had recovered I went back home for a short while, but that short while is indelibly etched in my memory, such was the neglect and cruelty both mentally and physically she showed me behind my dad’s back…..
My father bought me two really pretty dresses, I can still picture them clearly, one was a pink candy striped dress made of see-though fabric with pink lining and a sash round the waist. The other was a crisp cotton dress with small diamond shaped cluster patterns in pink, pastel blue and pale green, it had a pink ribbon tied in a bow from the neck right down to the hem….I loved them both. Tawdry Audrey would get them out of the wardrobe and carefully display them on my bed and she would drag me to them and tell me she had no idea why my father had wasted money on buying them for me, as I was too ugly to ever wear them…….Such was the constant taunting and deriding of me. so naturally l always believed I was ugly, as I never wore either of those dresses. On another occasion, in a fit of uncontrolled rage, Evil Audrey threw a saucepan of boiling hot Baked Beans at me, they were thrown at my head, so I ducked! But ‘The Cuckoo’, who was standing behind me and taller, got them full in his chest and always carried the scar….. Of course the wicked stepmother blamed me for it all, it was my fault her son got burned, because I was nimble enough to get out of the way! ……And I soon became invisible, a little unloved wild thing……… I was usually found playing in the gutter or searching the garden for plants and weeds to eat because I was so hungry, I soon learnt what I could or shouldn’t eat ! I found a plant that I called vinegar leaves, don’t know what it’s real name is? I found out that clovers were sweet tasting. I always seemed to be alone, unloved, neglected, bullied, starved & hungry…..Where was my dad?….Always at work! How my father didn’t see all this I don’t know? He wasn’t a bad man, just a sad man; weak & feeble. There was something really lacking in him. I guess he was a broken man? Once Tawdry Audrey and her evil son ‘The Cuckoo’ had their foot in the door, she got rid of me as soon as she possibly could. Near to the end, just before I went into the ‘hostel’ (Thornchace) to be assessed, Tawdry Audrey got caught!…….My father came home early from work unexpectedly one day and he caught her chasing me round the the sofa with an iron poker, my dad went ballistic! He got her round the throat and nearly strangled the life out of her, such a terrible throttled screech came out of her mouth!…..Tawdry Audrey always was such a drama queen! I think this episode sealed the deal really, something had to be done! My records state that I went to Thornchace Hostel (This was a secure unit, not sure whether to keep people out or the children in!!) 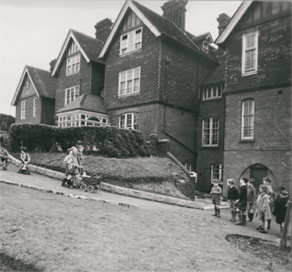 at the beginning of 1959 (I was just eight) and by the end of ’59, just before my ninth birthday, my father signed me over to ‘Malmesbury House’ National Children’s Home in St Leonards, Hastings. *I noticed that on the form of admittance to the National Children’s Home, where it says ‘GRANDPARENTS’ there was nothing? !……My father left this blank, denying both their rights and mine to any contact……This is the thing l find the hardest to understand and forgive him for, why did he do this to me and take everything from me? If he couldn’t keep me, then no one else can?….. Did he fear that my Nan & Granddad would come and rescue me? Or was there some other sinister reason to cut me off from all connections to my mother’s family? Well, I will never know? I was 8 years old…..Signed, sealed and delivered, one little girl……. Once in the home I was measured, poked and tested every 6 months…..
“Gillian passed all tests at year 9, four at year 10, three at year 11, two at year 12, three at year 13, one at year 14, one at Average Adult level and failed all at Superior Adult 1 level. This gives a M.A of 11 years 4 months and an I.Q. of 110. During my life I have been fortunate to have had the protection of some good people, sometimes professionals like this, ones who see me, with profound insight into who this little girl was….And the above description is exactly who l was……So I went from being invisible to being accepted. Mine is a just story in the most part ….My father had the most dreadful life, cut off from his own blood and he lived the rest of his life in misery! I can’t get my head around how anyone can sacrifice their whole family, in fact their whole life for a women, and a bad women at that! I struggle with the idea that a good person could do this? How could he give me up for such a women? A women who answered an ad? !…..Because of this his family never spoke to him ever again and he lost the love of his life…..ME! Of course he never came and found me, he couldn’t face me…. Of course he called out my name on his death bed, the guilt of what he had done haunted him and he never had any peace. It’s hard for me to talk about him without a lump in my throat, but I find it so hard to forgive him for such a calamitous decision, because at the end of the day I was his flesh and blood, his little girl, who he obviously loved and whose mother had not long died! He should have put me first and done the right thing. He failed me. As for her, the wicked stepmother, I feel that justice was never really done, she was the sort of person who did terrible things and thought nothing of it, I haven’t come to any satisfactory conclusion as to how karma works in her case? Maybe that no one has anything good to say about her and I don’t think she ever achieved anything, least of all any happiness. Hers and my father’s life was one of bitter disappointment and I have written her part in it all……This is their legacy…. For me, with all my disadvantaged childhood, I was and still am, a very happy person, how could l not be as l am blessed with four extraordinary children, each one of great beauty and each one a light in the world…… And this is my legacy…..
My four blessings….. Why l smile everyday!